Tim Cook has once again promised that Apple has a strong pipeline of products. In other words, he has engaged in marketing. How gauche. Please, only speak of your future products in the most self-effacing way possible. This is true. Of course, Apple introduces new products every quarter and is set to introduce a new streaming service next week. So, it’s not exactly just feel-good words going on. Also, it’s a bit of a fallacy to judge Apple by its share price since the market never understood the company in the first place. Now we have to attempt to unpack this suitcase-full-of-spring-loaded-snakes of a sentence. …the problem is that the hyperbolic outlook is coming across as more than a little bit desperate. It’s not very becoming of the world’s most profitable company. The world’s most profitable company is desperate. This is a thing you can write on the internet and, seemingly, not be consumed whole by demons from the eighth dimension that feast on illogic. Apple’s problem, Brumley says, is falling demand in China. It’s certainly true that that is a problem, but Brumley only notes this repeatedly as Apple’s problem, as if China’s slowing economy only affects one company. One wonders how desperate the companies that do business in China that are not the world’s most profitable might be. To be fair, Apple has been the pace-setter in terms of consumer-tech quality. None of its innovations has yielded [new iPhones] we “can’t live without,” though. It’s true that these innovations haven’t sparked sales growth, but the market has mostly become saturated. Everyone who wants an iPhone already has one. AAPL is increasingly becoming a digital-services organization, and has major ambitions for its still-small video platform. Nevertheless, that wasn’t the future Apple had planned just a few years back. First of all, how do you know that and, second, so what? Pundits, circa 2016: Apple is too dependent on the iPhone! Pundits, circa 2019: WHAT ABOUT THE IPHONE?! AAPL has stumbled before, but previously no one in the mainstream was willing to entertain the idea that maybe, just maybe, the company couldn’t ride the iPhone to never-ending glory forever. Please see The Macalope’s collected works. They beg to differ. But AAPL was introducing new, must-have products the whole time. 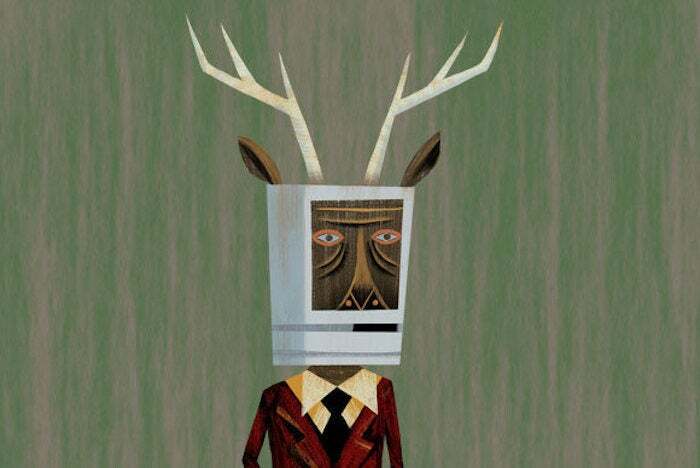 It is almost charming to see the pie-eyed enthusiasm of someone who thinks they have founded an entirely new genre of Apple punditry known as “Apple doom.” All past Apple products were new and must-have. All new Apple products are crap. Apple’s growth is unlikely to return to that exhibited by the rise of the iPhone. This does not, however, mean the company is on a slow, inexorable slide into the ocean.